On 23rd March as usual I went for my Morning walk with my Morning Walker friends. One of my Friend asked me a query. 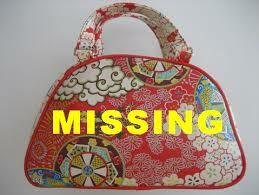 I lost my Purse. I asked him not to disclose any more details and just then i asked him the Following Questions. 1. Did it happen after 12th March 2015 and before 14th March 2015?. He answered Yes. 2. I asked him Did the Purse have a sizable amount of Money and in multiples of 6 ? He Answered Yes. 3. I told him He may get back the Purse after some time and in 8 days . On Coming back home I opened the Prashna Chart and found Pieces Lagna Having 6th Lord Sun in Lagna and 7th Lord Mercury in the 12th house perfect combination for misplacement and not theft , since Jupiter isaspecting the Lagna . I told him, he has lost the Purse in the house of a Male Wearing Gems and Ornaments Golden Complexion, honey colored eyes Fond of Pleasures. . He is Fond of Playing Cards . He was little taken aback. He confirmed that he had placed his Purse on the Table in the house of the such identical person and Probably forgot to pick it up. , But since the Purse was lost on the 13th March 2015 and Saturn and Mars are considered Chor Grahas and Saturn was stationary . It may be lying where he lost it . He confirmed that he got back the Purse in 8 days. While i was walking i used my research fot the Prashna Time and Found the planet influencing the query was connected to Currency and till 12th March The Planet was in Exhaltation. My Prediction on this Query proved 100% True. Astrology is amazing.